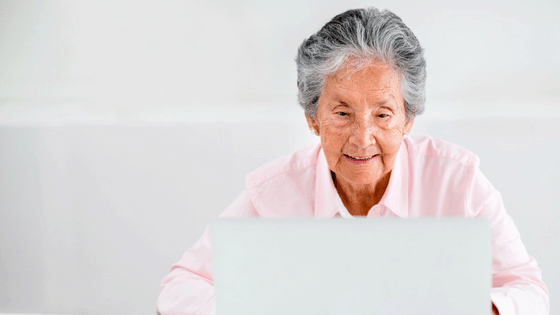 Whether or not the trustee of a complying superannuation fund can accept member contributions for those aged between 65 and 75 depends on the member satisfying a “work test”. To be “gainfully employed” a person must either be employed or self-employed for gain or reward in any business, trade, profession, vocation, calling, or occupation or employment. If the contribution is made to an industry or retail fund, the person making the contribution is generally required to tick a box that states that the work test has been satisfied. In the case where the contribution is made to an SMSF, a Work Test Declaration would typically suffice as proof the work test has been passed. It is however essential to retain evidence of the work performed as there is always the risk of being asked (in the event of an ATO audit) to provide appropriate evidence that the work test has been met. If the ATO is not satisfied with the evidence provided, the contribution is likely to be disallowed. Jane worked unremunerated for a charity throughout the 2016-17 financial year. Would Jane satisfy the work test in that year? No, as an unpaid volunteer, her work does not meet the definition of a “gainfully employed” person. Peter is over 65, working full-time and salary sacrificing his whole salary to superannuation. Peter has no taxable income to declare in his personal income tax return. How would Peter prove that he satisfies the work test? Where there is full salary sacrifice then the PAYG payment summary from the employer would still be issued with the salary sacrificed amount being reported as reportable superannuation contributions. This would provide enough evidence of the gain or reward for the work test. How can an employee prove that they satisfy the work test? In the case where one is an employee and works for at least 40 hours in a period of not more than 30 consecutive days during a financial year, the existence of PAYG summaries, an employment contract and evidence of superannuation guarantee contributions made on their behalf will provide appropriate evidence of the work test. How can a self-employed individual prove that they satisfy the work test? In this case, notes of the work done and the activities performed together with invoices/pay slips substantiating the income derived and the hours worked will provide evidence for the work test. Factors suggesting the individual is genuinely carrying on a business and that the work was done and paid for legitimately, at a commercial rate, will be relevant here. John turned 65 on 22 September 2016. John made non-concessional contributions to a superannuation fund during the 2016-17 financial year. Under what circumstances was John able to contribute? Andrew has a total super balance of $500,000 on 30 June 2017. Andrew contributes $100,001 to his SMSF just before his 65th birthday in the current year, triggering the “bring forward rule” for the non-concessional contributions in the 2017-18 year. Will Andrew need to satisfy the work test in each of the following two years in order for the SMSF to be permitted to accept any subsequent member contributions? Yes, this is because a person who has triggered the “bring forward rule” for non-concessional contributions in a financial year and has since reached age 65 is required to satisfy the work test in later financial years that they may want to contribute up to their brought forward non-concessional contributions cap. Is it possible to make non-concessional contributions after reaching age 75 if the work test was satisfied within the financial year prior to the individual’s 75th birthday? Yes, but only if the contribution is received by the fund within 28 days after the end of the month when a person turns 75. For example, if a person turns 75 in April, then the contribution must be received by their super fund by 28 May. Chris is 69 years old. He made a personal contribution of $20,000, which was received by his SMSF in June 2017. The contribution was applied to an unallocated contribution account (established in accordance with the rules of the SMSF), and subsequently allocated to Chris’s accumulation account on 7 July 2017. Would Chris be required to satisfy the work test in the year the contribution was made to the fund (that is, 2016-17) or in the year the contribution was allocated to Chris’s account (2017-18)? Chris is required to meet the work test in the year the contribution was made to the fund (2016-17) rather than when the contribution was allocated to his account (2017-18). Call Taxwise on (08) 9248 8124 if you need to discuss your situation.